Clever Snack Ideas for Valentines Day - That are easy and fun! Just in time for Valentines Day…clever snack ideas for Valentines Day are easy to make. Add a festive touch to this special day with these snack ideas for Valentines Day that even the kids and grand kids can help make. 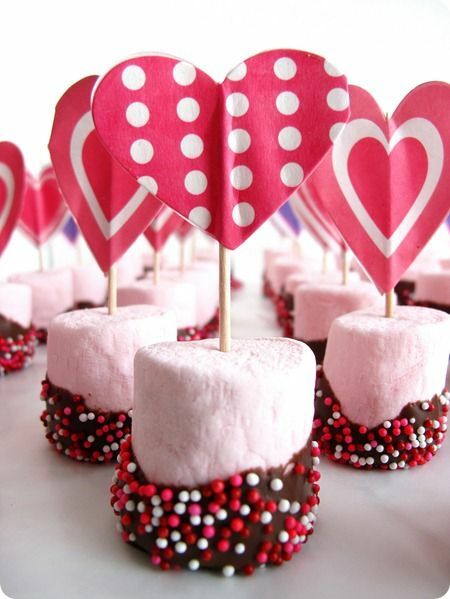 Use strawberry marshmallows, dip them in melted chocolate and sprinkle them with little nonpareils. Decorate them with heart picks. So easy and fun! 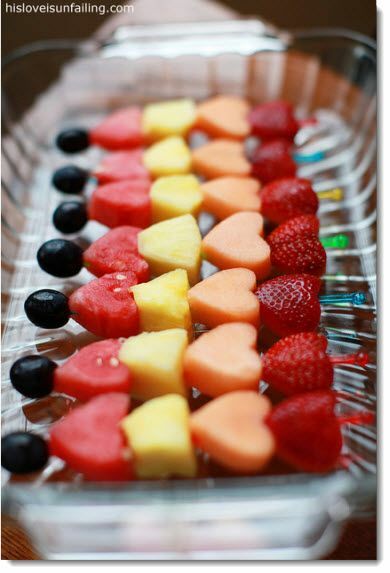 3) Heart Kabobs – Made with strawberries, cantaloupe, pineapple, watermelon and black olives. Snack Ideas for Valentines Day at Your Fingertips!